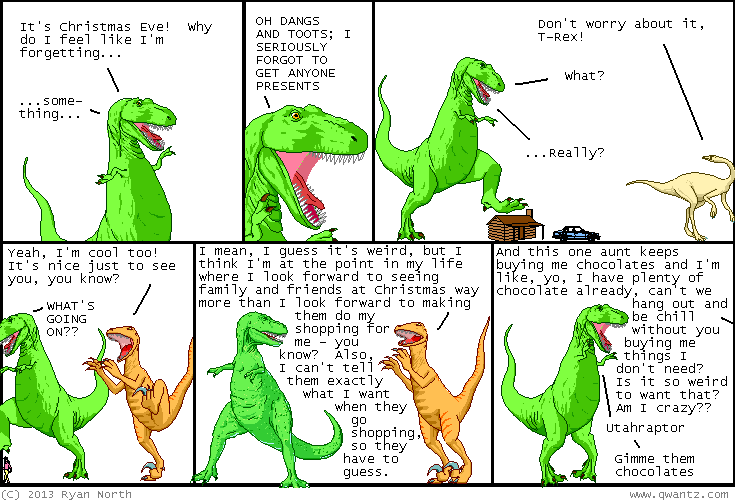 Dinosaur Comics - December 24th, 2013 - awesome fun times! December 24th, 2013: I looked up "tomorrow" to see if I had a comic about the word "tomorrow" to match the "overmorrow" comic I linked to yesterday, but all I could come up with is this, and you know what? I'M TOTALLY OKAY WITH THAT.